Umi no Hi: celebrating Marine Day in Japan! Are you enjoying the summer while munching on some Japanese snacks and candy? At our office we can't stop eating the seasonal lemon flavored treats! 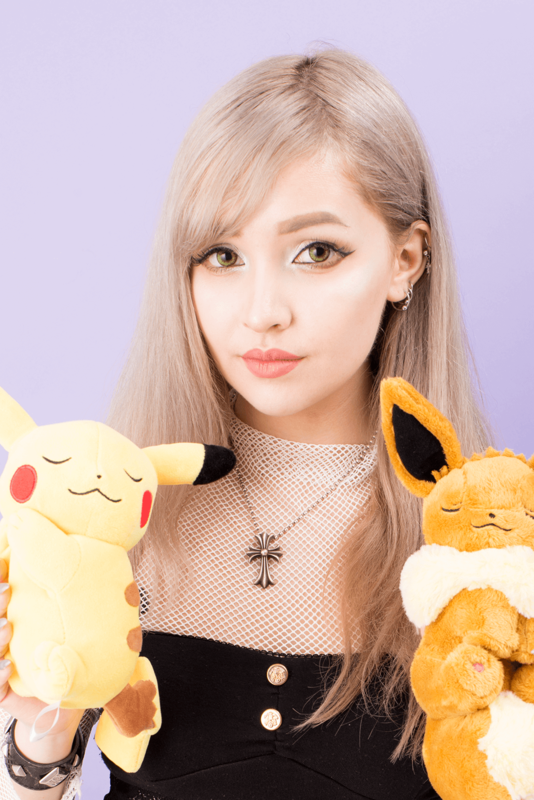 When I first moved to Japan I was surprised about the interesting national holidays that Japan has including Greenery Day, Mountain Day and Marine Day. Japanese people have relatively few paid holidays when compared to people in other countries so it’s a good thing that national holidays make up for that. 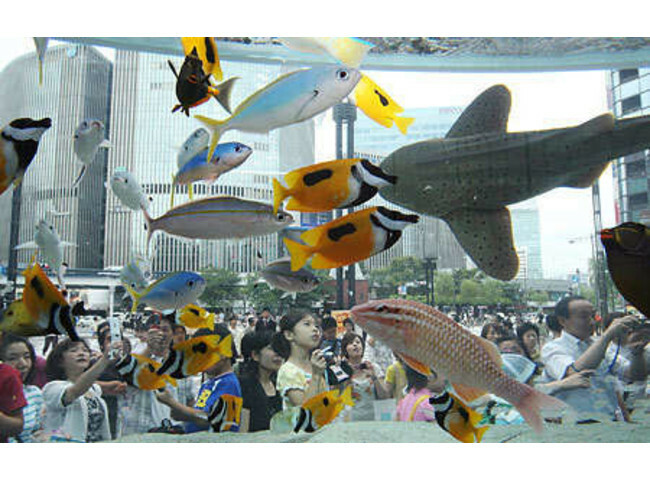 In today’s blogpost I will introduce you to Marine day in Japan! 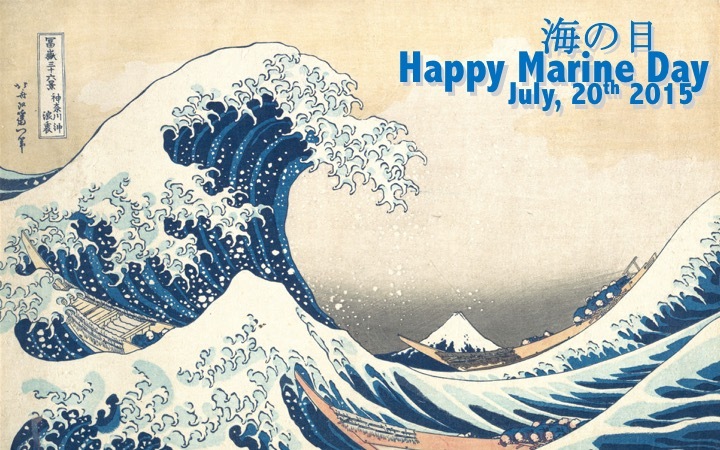 Umi no hi which is called Marine day, Ocean day or Sea day in English is a Japanese national holiday which is celebrated every year on the third Monday of July. This is a special day in Japan on which they celebrate the importance of the sea that the island is surrounded with. In earlier years Marine Day was known as Marine Memorial Day but it was not until 1996 that Marine day officially became a national holiday. People started celebrating Marine Memorial Day in 1941 to mark the anniversary of the return of the Meji Emperor who arrived in Yokohama with his boat in 1876. How do Japanese people celebrate Marine Day? Since Marine Day only became a national holiday in 1996 there are no traditional ceremonies or rituals that people perform on this day. Since July is one of the hottest months of the year many people will celebrate Marine Day at the beach to enjoy the sun and escape their workplace for a day. Usually many events will take place, for example water sports competitions, water shows or special events at national aquariums! Of course this year Marine Day was also celebrated with some very special events! 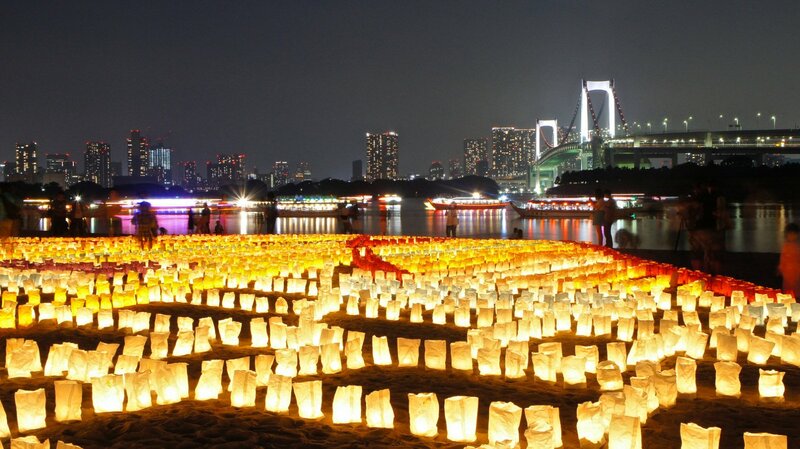 One of these events took place in Odaiba: the lantern festival. 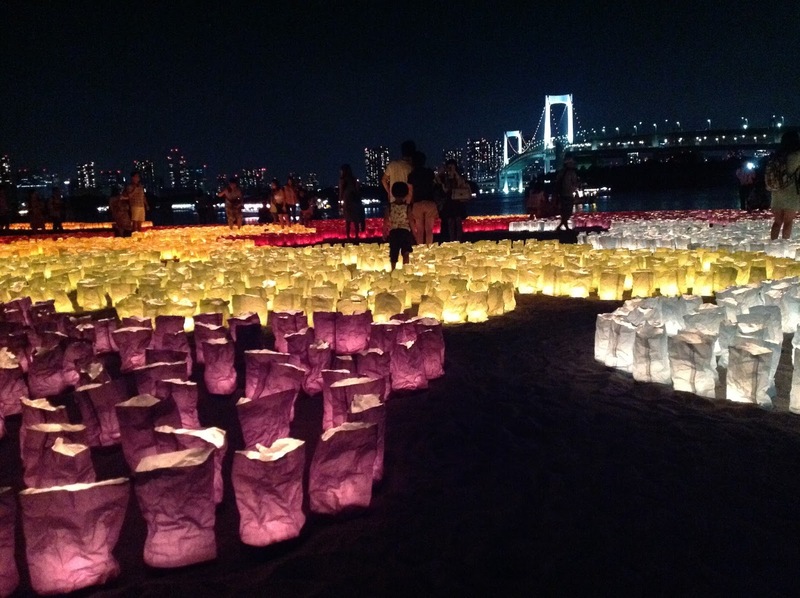 Volunteers set out 50,000 paper lanterns in different colors at the beach that seemed to come straight out an anime! The visitors could admire the the lanterns floating on the river with the rainbow bridge on the background which made the sight spectacular. 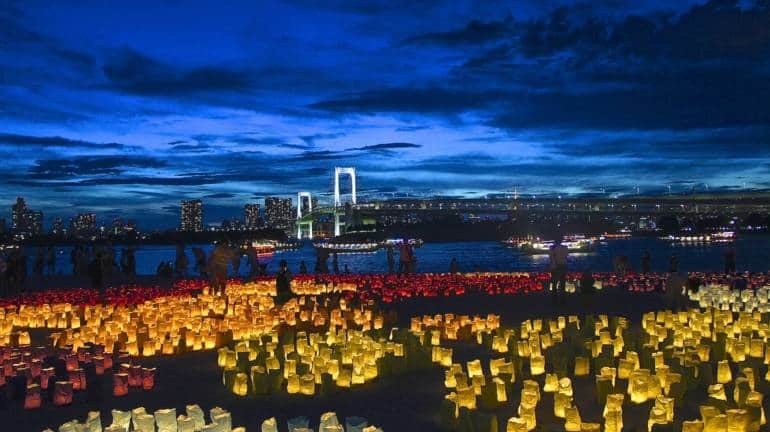 Even though the highlight of the event are of course the floating lanterns there are many other things to enjoy in Odaiba on this day! By the beachside café you can listen to the music of several local musicians or try some seafood. Street vendors even sell freshly grilled oysters! In Okinawa people try to not only celebrate the sea but also think of the environment and think of ways to raise awareness about the topic. On Marine Day many people in Okinawa throw special EM mudballs in the sea that are being used to eliminate sludge and slime. Other communities host beach cleanup events on this day to contribute. What do you think of this national holiday? Do you have something similar in your country? Let us know in the comments! Do you want a Japanese candy box? Don't forget to check out our website below!